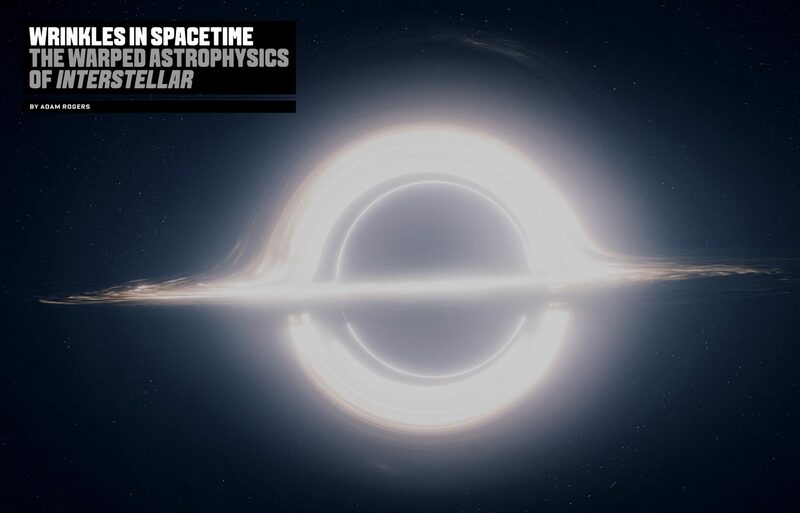 Listening to the Science Magazine podcast I found out that the black hole depiction (or its effects rather) as shown in the latest film by Christopher Nolan, Interstellar, used the expertise of physicists to create the visualisations. Furthermore, the researchers used the work for the film to write an academic paper! There are a number of things that are not as sound in the film, for instance the contrast of the efforts to free the ship from the embrace of the Earth’s gravitational field, and the whizzing out from a tidal-wave-ridden planet by simply floating away… But, that is not why I wrote this post…. it was to highlight the black hole depiction… so back to the subject. In order to better depict the black hole, the film used the expertise of theoretical astro-physicist Kip Thorne, the Feynman Professor of theoretical Physics at Caltech. 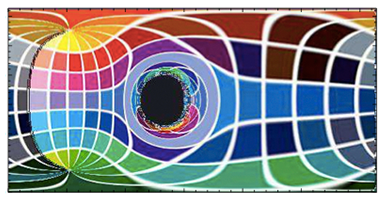 In order to produce the effect of the black hole Thorne, worked together with Double Negative in implementing the equations that would render the visual effect. However, no rendering software was able to do the rendering as they are based on the fact that outside black holes, light rays travel in a straight line. In order to show the gravitational lensing around the black hole a new renderer had to be created. The result were images that took over 100 hours to be created. The images obtained provided Thorne with unexpected results as they showed that the light that is emitted from the accretion disk around the black hole would have its light distorted by gravity in such a wat that a halo would apere above and below but also in front of it too. So we just have to wait for the papers to be out and read more about this. In the meantime if you are interested in finding our more about research into black holes take a look at this page.